Poncey-Highlands’ 8 Arm brings hearty grain bowls, flaky biscuits and more to the ATL. I’m going to start this review off in a particularly controversial manner. I know that anyone who only reads the first half of it is going to be mad. They’re going to say that this review is unfair, that I’m not comparing apples to apples—or even if I am, that it doesn’t matter, that I shouldn’t compare. 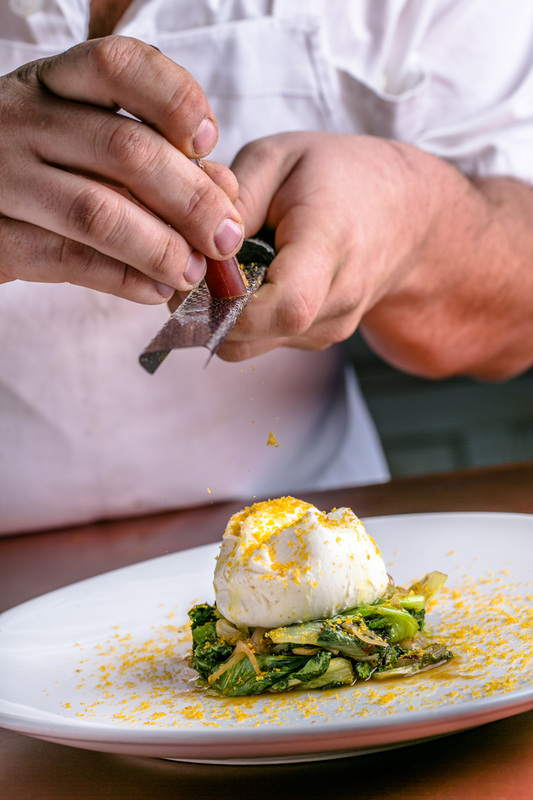 Creamy burrata atop a serving of escarole. On a recent trip to visit my in-laws in Los Angeles, I ate at Sqirl, an award-winning, health-focused breakfast and lunch hotspot with a cult-like following and a never-ending line out the door. We ordered just about everything on the menu, and it was one of the best meals I’ve ever had. So when I got a press release announcing the opening of Atlanta restaurant 8 Arm (from chefs Angus Brown and Nhan Le, the duo behind 8 Arm, East Atlanta’s Octopus Bar and the critically acclaimed former Lusca), I was excited. The release promised a “casually hip daytime cafe serving a smart and focused menu of [simple, clean dishes], mostly vegetables.” It sounded not only like the healthy menu I loved at Sqirl, but also exactly the kind of restaurant Atlanta so desperately needs: a chef driven restaurant serving good-for-you food. and covered in nori butter. And when I walked into Poncey-Highland’s/ Old Fourth Ward’s latest gem, 8 Arm, upon returning to Atlanta, I had a good feeling: The hipster space, decorated in minimalist style with white brick, concrete floors, wooden tables and strategically placed plants, immediately reminded me of the intimate space I adored in L.A.
And a cursory glance at the menu provided in the press release proved that the similarities didn’t stop there. Both Sqirl and 8 Arm have a healthy lilt to their market-driven menus that reflects what’s currently in season in surprising ways; both rely on scratch-made dishes, like baked-in-house-daily breads and pastries; and both are counter-service spots, housed in nondescript buildings (8 Arm sits below Paris on Ponce with a ramshackle storefront you could surely miss if you didn’t know what you were looking for). 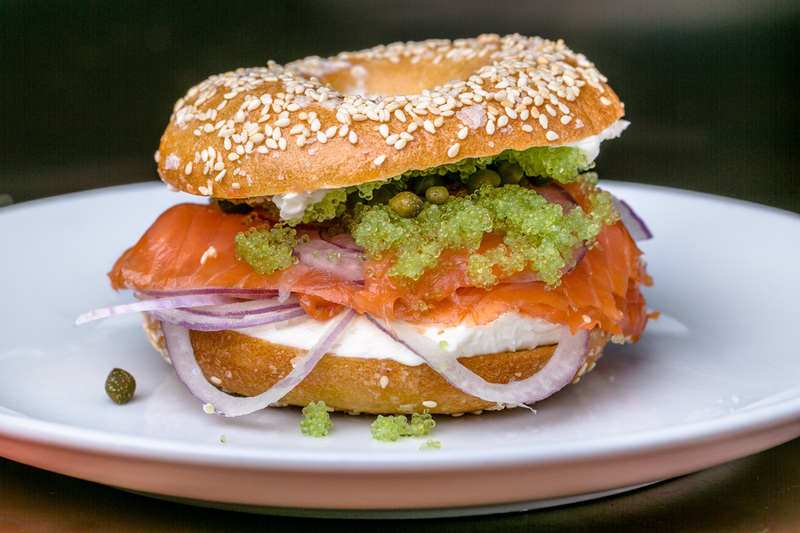 Capers and roe give a smoked salmon bagel sandwich a slightly salty crunch. Unfortunately, the reality at 8 Arm wasn’t quite what had been promised. Though I can appreciate 8 Arm’s small and expertly curated menu, most days I found it to be limiting, as it doesn’t often cater to dietary restrictions, like vegan or gluten-free, the way you’d expect a healthful restaurant to do. Yes, 8 Arm offers yogurt and granola and house-made quiches for breakfast; grain bowls and creative proteins such as roasted quail and lamb neck at lunch; and produce-laden pastas and entrees at dinner. 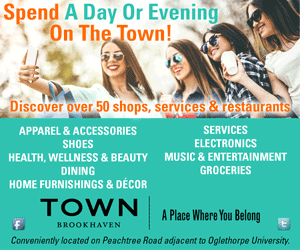 But the cornerstones of the menu include buttermilk biscuits (often stuffed with bacon, pimento cheese or fried chicken) and other carb-heavy plates, such as the smoked pork loin sandwich and an Egg McMuff, which doesn’t help the gluten-free diners any more than the McDonald’s version does. Of course, it must be noted that 8 Arm’s version is made with farm-fresh eggs, heart-healthy avocado and locally made cheddar. But the point is, 8 Arm is simply not an easy place to eat if you’re trying to avoid gluten, dairy or carbs. Its dinner menu, despite being filled with seasonal veggies, is ultimately very heavy, too. “I feel like all we ate was bread and cheese,” a recent dining companion said after we ordered six of the dinner menu’s eight options. To be fair, that 8 Arm serves dinner—and a full-service one at that—earns the restaurant a check mark in the “pro” category. And most of the plates we tried were delicious. Still, I have to admit, I felt a bit confused by their claim of serving mostly vegetables. At first, I thought, Fantastic! I’ve been praying for a restaurant like this for years. But after dining at 8 Arm five times, I was praying for just a little less flour. So, my advice to them, and my hope for 8 Arm, is this: Don’t hold back on your original mission. Give us all the veggies you’ve got! You’re already doing so many things right. Your grain bowl with its vibrant salsa verde, hearty lentils and one of the most perfectly soft-cooked eggs around is brilliant. Actually, all of your bowls are perfection. The power smoothie bowl and the morning rice and veggie bowl are exactly what I want to eat for breakfast; I just wish they made more frequent appearances on your ever-evolving menu. Some mornings, my only options were toast, bagels, English muffins or biscuits—which, by the way, are excellent. 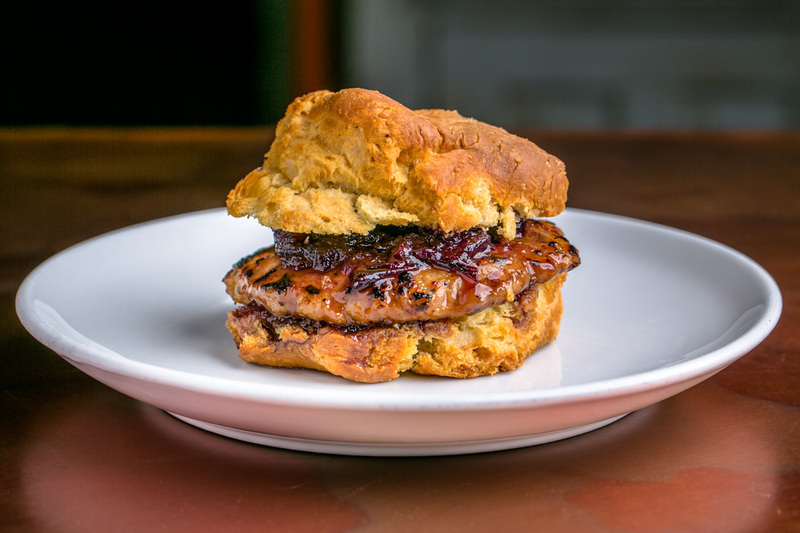 Pastry chef Sarah Dodge, formerly of Octopus Bar, The Little Tart Bakeshop and Preserving Place, makes outrageously good biscuits that are delicate, yet sturdy, buttery and the ideal balance of sweetness and saltiness. Another highlight: your rock shrimp. When paired with buttery avocado and bright herbs, the dish comes to life, igniting all of my taste buds. 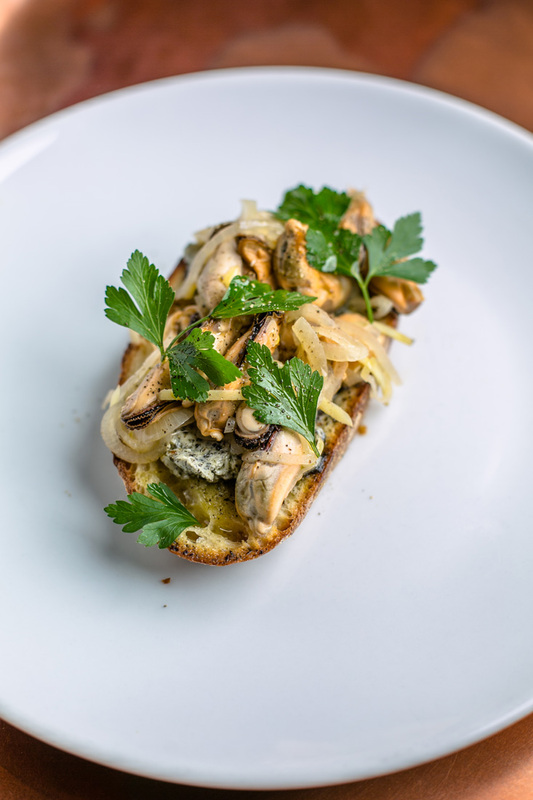 I want more of that nutrient-dense nori butter you smothered on sourdough toast brimming with fresh, briny mussels. It was one of the most unique and delicious apps I’ve had in Atlanta. I want more of your luxe lady peas with brodo di pollo (chicken soup) and bitter greens. They were comforting, wholesome, delicious. An assortment of coffee options. 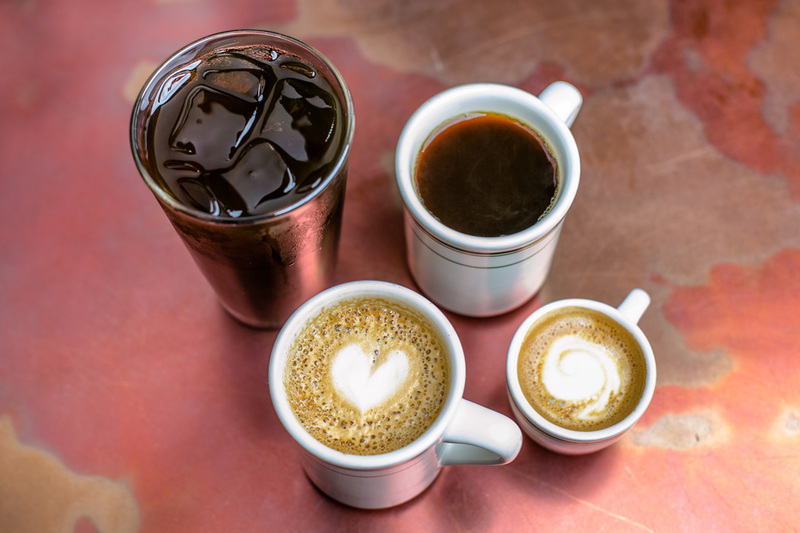 Your beverage program is off to a great start, too—the half-dozen coffee and espresso-based drinks are truly stellar. Your iced pour-over, best sipped in the natural-light-filled cafe while connected to the solid, free WiFi, is a revelation. But it feels like just that: a start. I hope you’ll continue it by squeezing some fresh juices, mixing up some superfood tonics or blending your own nut milks and expanding the latte choices (matcha, anyone?). I’d love it, and, if Arden’s Garden, Gusto! and True Food Kitchen’s successes here are any indication, so would the rest of Atlanta. Bottom Line: 8 Arm is on the verge of bringing healthful, chef-driven cuisine to Atlanta’s food scene.